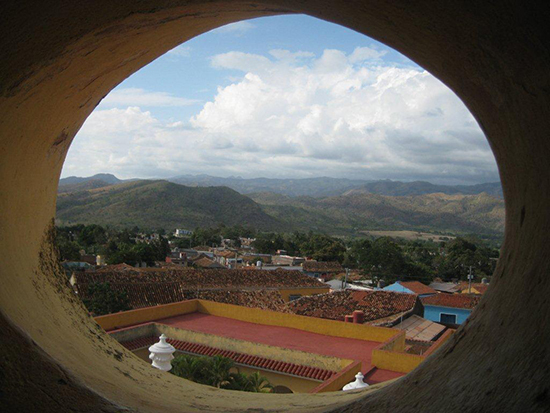 At the next Evening at Egan, students who spent their Spring 2012 UAS Semester in the fascinating country of Cuba will share vignettes and photographs from the unique experience. Last spring a dozen UAS students travelled to Cuba with four faculty members to hone their Spanish language skills, study the country’s rich cultural history, witness the impact of tourism on the island’s life ways, and contemplate the legacy of the famous American author, Ernest Hemingway, who spent a third of his life living near Havana. English faculty Kevin Maier will give an overview of the trip, talk a bit about his class on Hemingway and introduce the four student presenters. "As one of the students put it in one of the last entries in the daily journal they kept as part of each course, 'it would take two months to fully explain all my impressions of Cuba.' He's right but are hoping to offer a few quick snapshots that speak to the experience of the 15-credit, two-month long immersion experience," said Maier.